"We got a gold mine!" 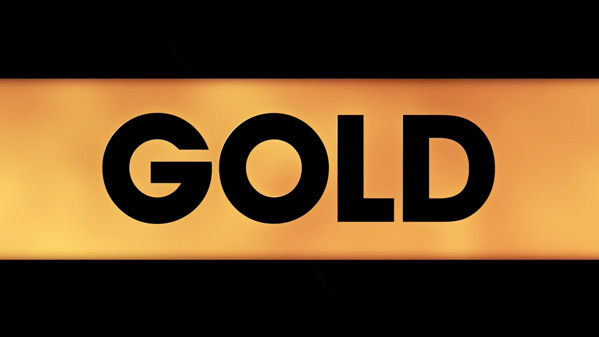 Studiocanal UK has unveiled a second trailer, which they call a new "teaser trailer", for the film Gold - the latest from screenwriter Stephen Gaghan, who also directs. Gold stars Matthew McConaughey as Kenny Wells, and Édgar Ramírez as Michael Acosta, two businessmen who team up to mine for gold in Indonesia. It's based on the 1993 Bre-X Mineral Corporation mining scandal, a fairly recent real story. The full cast includes Bryce Dallas Howard, Joshua Harto, Timothy Simons, Corey Stoll, Toby Kebbell, Bruce Greenwood, Bill Camp and Rachael Taylor. This presents the story much differently than the first trailer, but it does still end on the "I'm touching a tiger!" scene. Hoping this is good. You can still watch the first official trailer for Stephen Gaghan's Gold here, to see more footage. Kenny Wells (Matthew McConaughey), an unlucky man, teams-up with geologist Michael Acosta (Édgar Ramírez) to find gold deep in the uncharted jungles of Indonesia. Based on the 1993 Bre-X Mineral Corp. mining scandal. Gold is directed by American screenwriter Stephen Gaghan, who has made only a few films previously, including Syriana and Abandon. This is the first feature film he's directed in 11 years. The screenplay is written by Stephen Gaghan, Patrick Massett and John Zinman. The film is not scheduled to premiere at any film festivals yet. The Weinstein Company will release Gaghan's Gold in limited theaters starting on December 25th, Christmas Day, this year. Stay tuned for updates. Who's planning to see this? I want to see this. I think it looks a lot like a mix of THE WOLF OF WALL STREET and some kind of fun adventure movie. Wolf of Wall street and Treasure of the Sierra Madre. First comparison I thought of too. Guy gets rich really fast and screws up his life. Does look worth a watch.